Young shoots and leaves bronze purple. Nerves on the underside reddish. The flowers are purple-crimson on the outside and white on the inside. 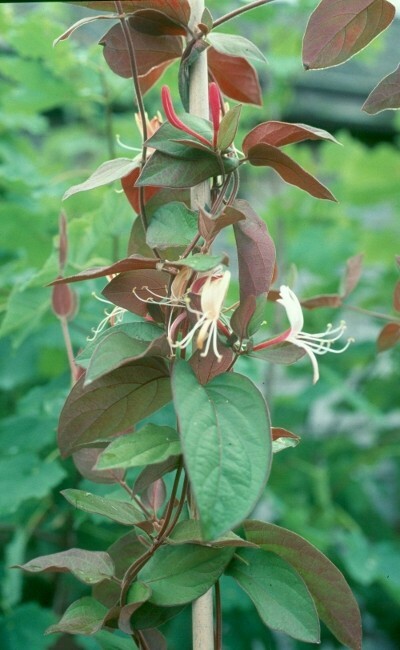 Plants in the UK under this name seem to be identical to the best forms of L. japonica var. chinensis. So, it is said to be the Queen of the purple leaf forms.